Did you know water is essential for brain function and physical performance? 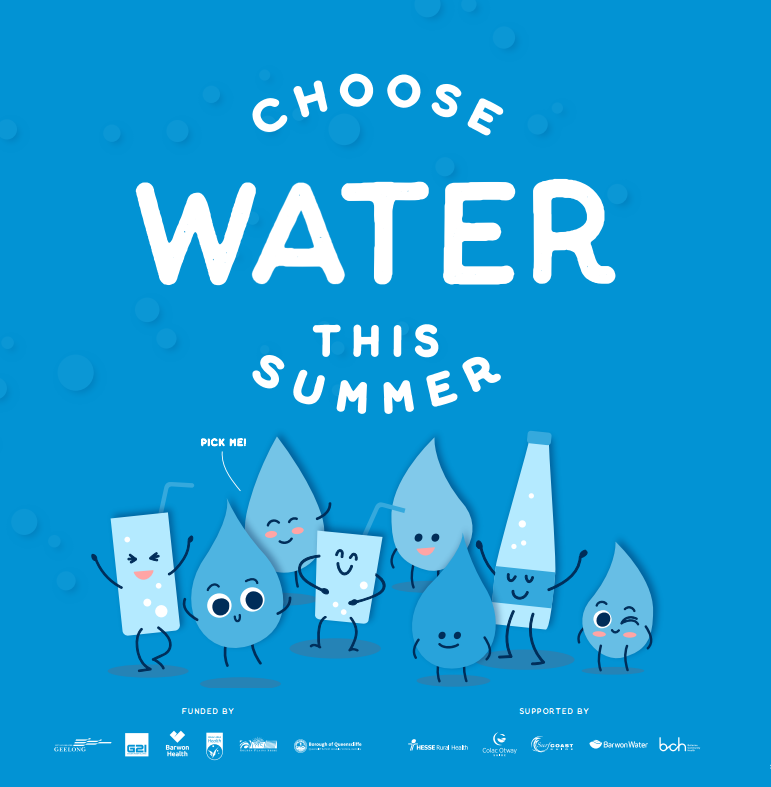 Golden Plains Shire Council, as part of the G21 Geelong Regional Alliance, is encouraging residents to Choose Water This Summer. The health campaign aims to increase water consumption across the Golden Plains, Colac Otway, Greater Geelong, Queenscliffe and Surf Coast municipalities, which has approximately 324,00 people. In making water the drink of choice this sunny season the campaign hopes to decrease the consumption of sugary and sweetened beverages. As well as drinking water, the G21 Health and Wellbeing Pillar wants to promote regular physical activity and healthy eating habits in South West Victoria. Drinking soft drinks and other drinks with added sugar, can lead to putting on excess weight or becoming obese, and this may increase the risk of developing type 2 diabetes, heart disease and some cancers (ABS 2014). Save money – water from the tap is free so every time you choose water you save money! Water helps to maximize physical performance - water is the best drink for re hydrating while playing all sport activity lasting less than 90 minutes.